محمد اليوسفي: I've been Tagged! been tagged by mother courage to show my screen , i dont tag anyone . 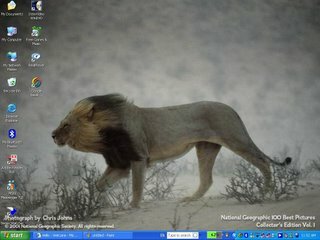 wow a lion walking through the storm.very challenging. i dont tag anyone . For some reason that cracked me up. Hmm, Arislan?